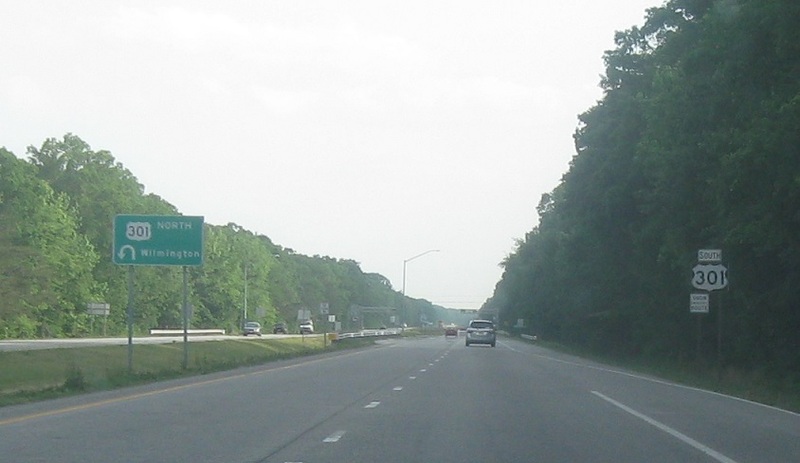 Reassurance shield after the 290 junction. 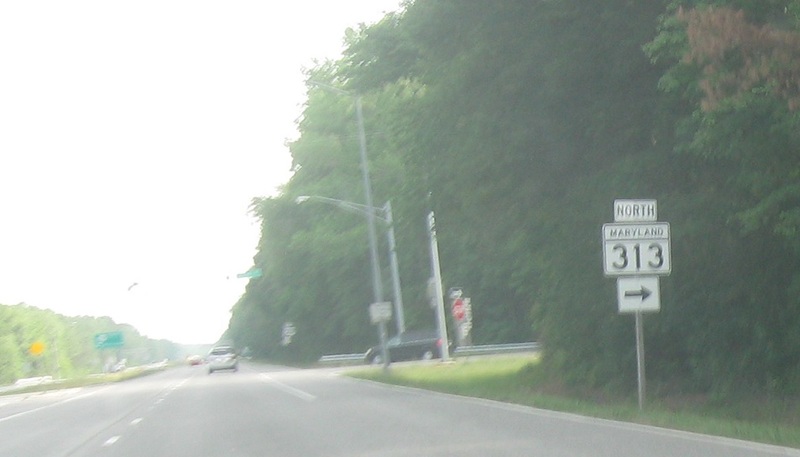 Just after that, we’ll approach Maryland 313 at a fairly unusual intersection. 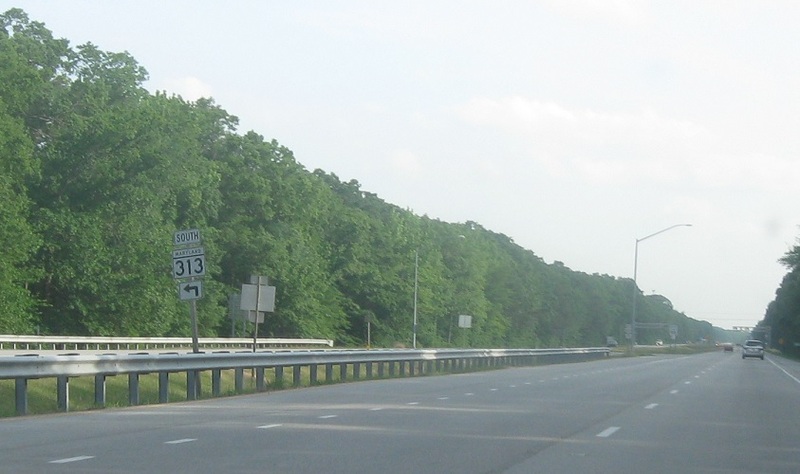 Reassurance shield as we approach 313. 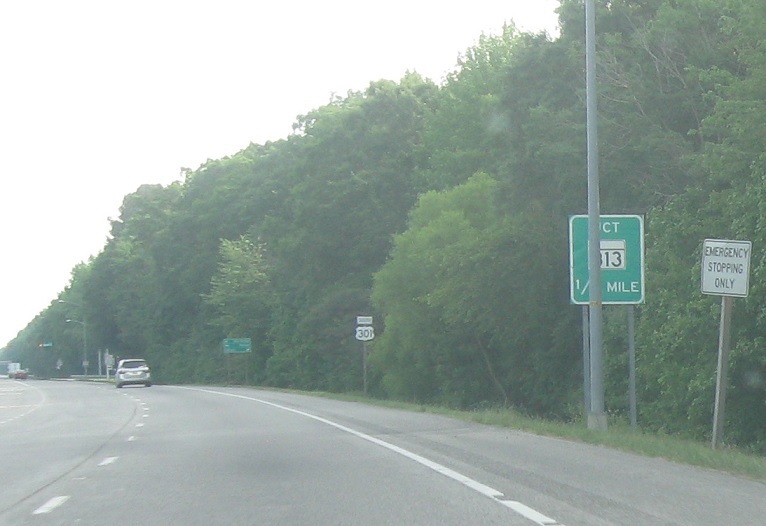 Turn right for 313 north. 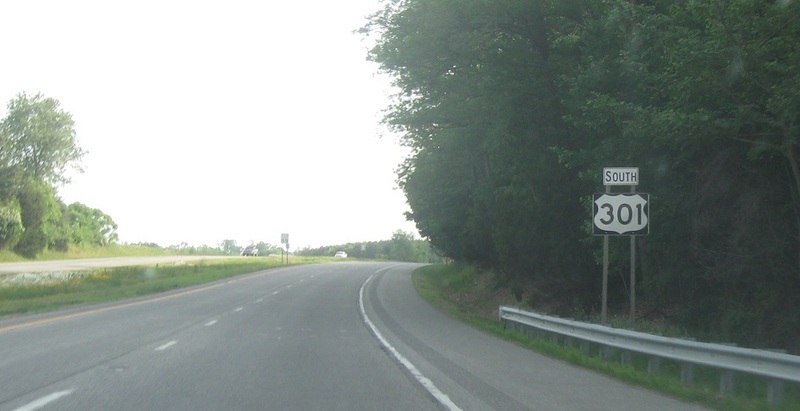 What makes this intersection weird is that 313 traffic can’t stay continue directly across this intersection but must turn right, make a u-turn, then turn right again. 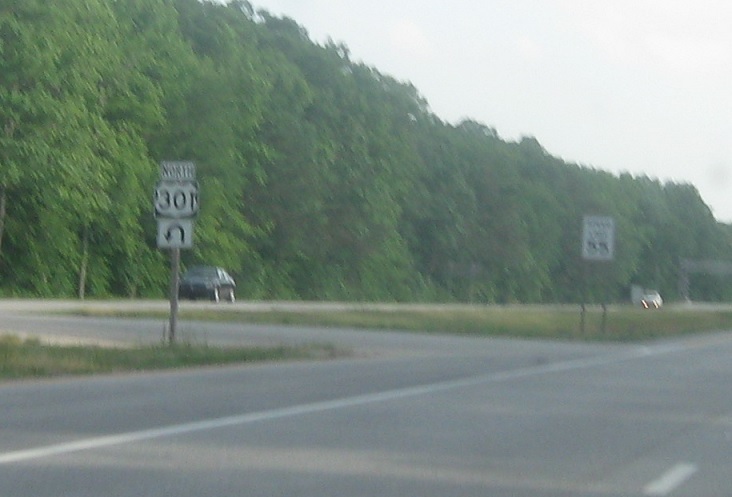 Traffic from 313 south should make a u-turn here to get on 301 north. 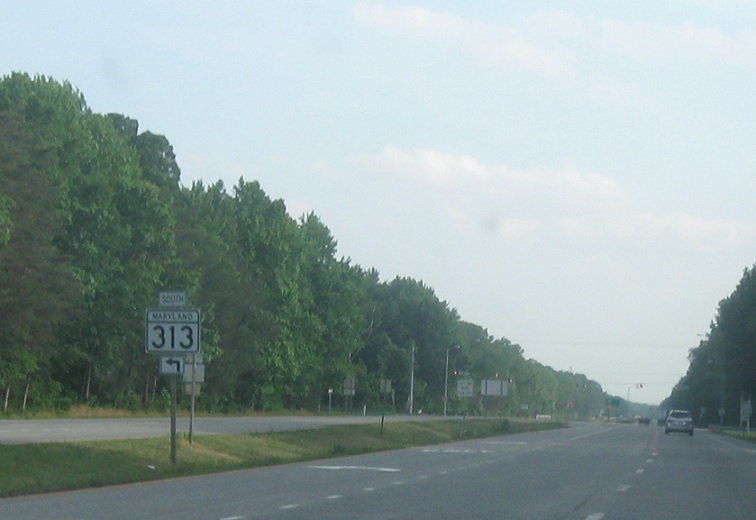 The u-turn is also the direct route to 313 south. 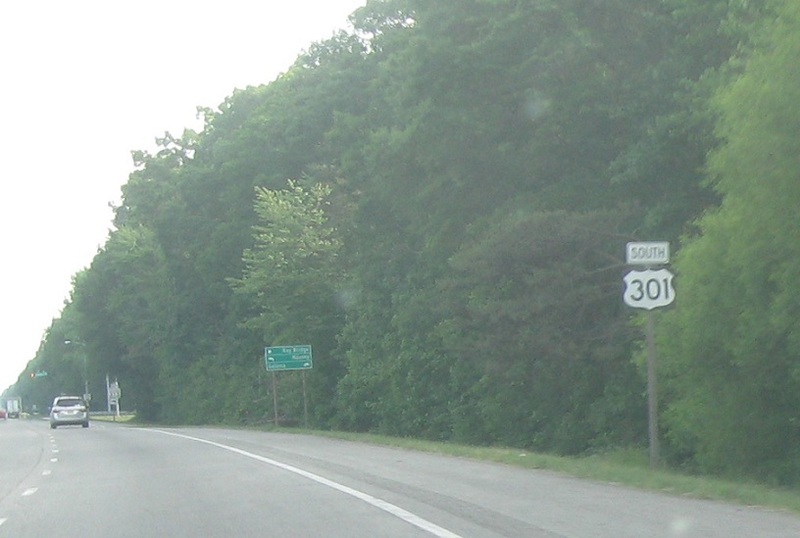 Make a u-turn for 301 north to 313 south.